The recent adaptation of Moll Flanders for Masterpiece Theater is a book-lover's dream: the dialogue and scene arrangement are close enough to allow the viewer to follow along in the book. The liberties taken with the tale are few (some years of childhood between the gypsies and the wealthy family are elided; Moll is Moll throughout the tale, rather than Mrs. Betty; Robert becomes Rowland, etc.) and the sets avoid the careless anachronism of the movie version released earlier this year. The breasts, raised skirts, tumbling hair and heavy breathing on the small screen might catch you by surprise if you don't read the book carefully (as might Moll's abandonment of her children on more than one occasion). 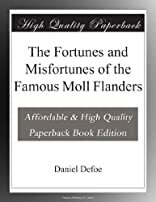 Unlike his near-contemporary John Cleland (_Fanny Hill_), Defoe was trying to keep out of jail, and so didn't dwell on the details of "correspondence" between Moll and her varied lovers. But on the page and on the screen, Moll comes across quite clearly as a woman who might bend, but refuses to break, and who is intent on having as good a life as she can get. E. M. Forster in Aspects of the Novel considers Moll and her creator's art in some detail. While he finds much to criticize in Defoe's ability to plot (where did those last two children go, anyway? ), he is as besotted with Moll as I am. Immoral? Sure -- but immortal, and never, ever dull. 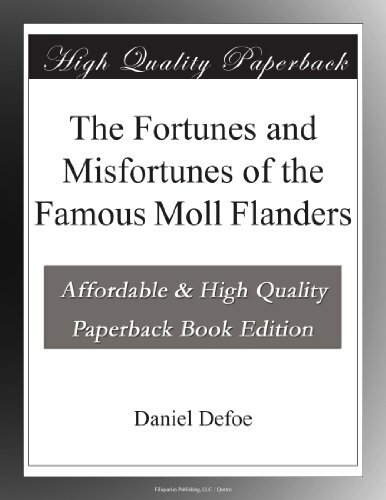 We hope at least a few of the viewers of the recent adaptation take a couple hours to discover the original, inimitable Moll Flanders.